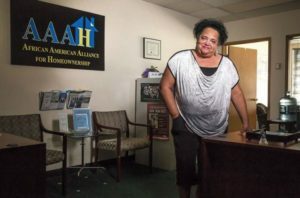 The African American Alliance for Homeownership "AAAH" is a non-profit 501(c)3 community based alliance, comprised of housing and business professionals. Our mission is to increase homeownership and economic stability for African Americans and other undeserved individuals by improving access to home-buyer resources and education. Since 1999, the Alliance has been successful in stimulating home buying activities and resources through our innovative programs such as The Homebuyer Coaching Project, The Annual Homebuyer Fair, IDA Program (match savings fund), One-on-One Homebuyer Counseling, Homebuyer Education Classes, MHAC Financial Assistance and Mortgage Foreclosure Prevention.